Low Country Prints and Maps for sale. 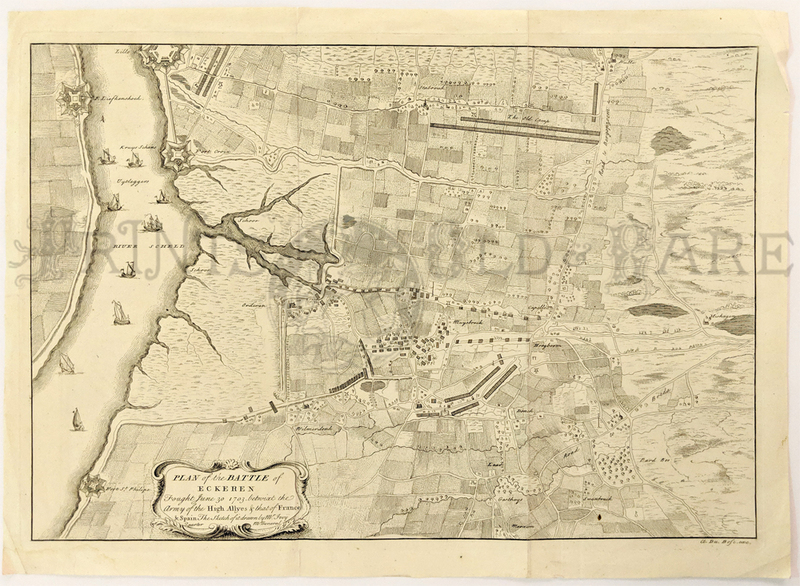 Plan of the Battle of Eckeren, Netherlands, 1750, Rapin-Thoyras - An engraved and highly-detailed, regional black and white map, showing Fort St. Philip, F. de la Croix, F. Liefkenshock and Lillo, beyond the river and towns, farms and roads, by Paul Rapin. A number of ships in the River Scheld depicts the French attack of June 30, 1703. 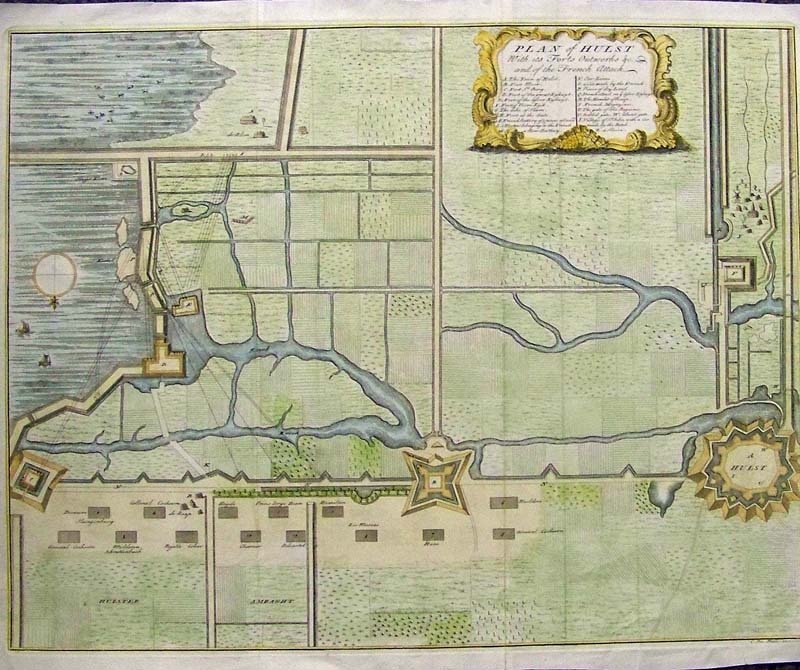 The map has a large title cartouche from Tindal's Continuation of Rapin's History. size, 18.5 x 14 image. 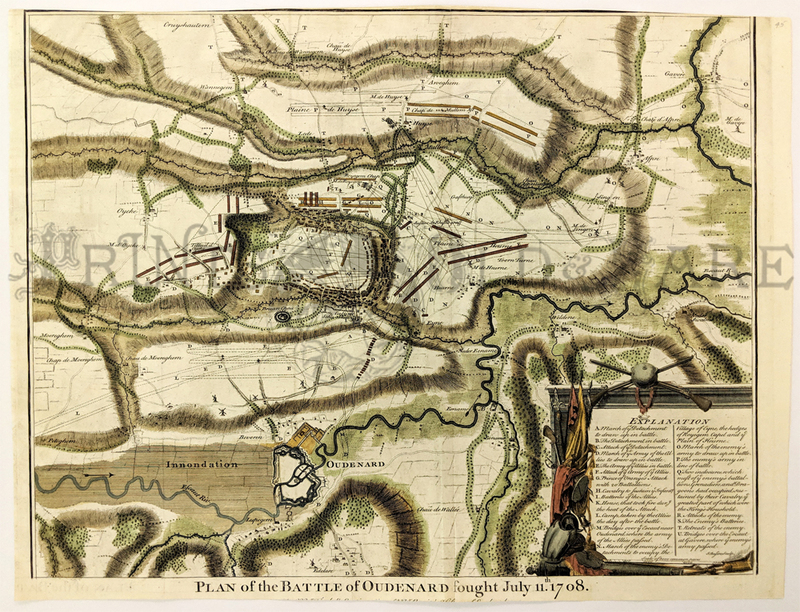 1710 Belgium: "Arena Martis in Belgio Qua Provincia X Catholica Inferioris Germania." Color map by Johann Baptiste Homann. 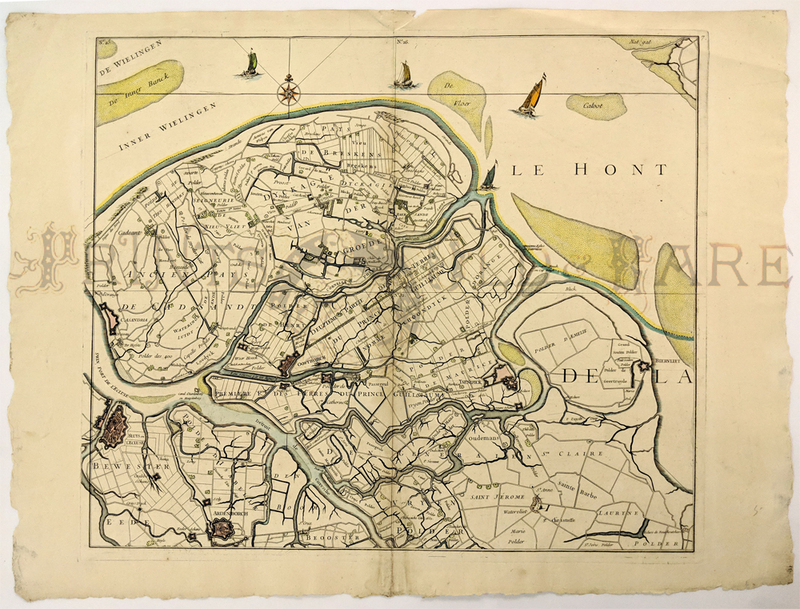 Map shows today's Brussels, Antwerp, Ghent, Dusseldorf, Luxenbourg, and more, and a small view of Luttich (Liege) in decorative Cartouche on bottom. 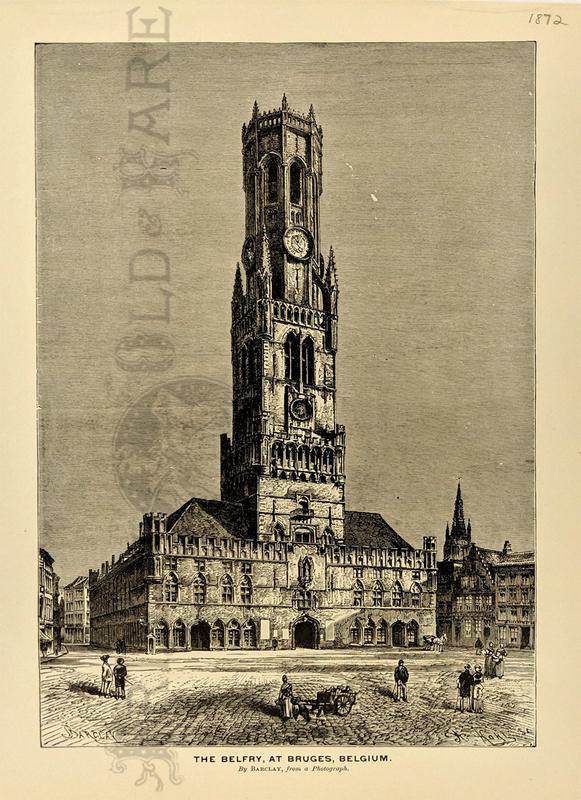 002low: 1872 Belgium: The Belfry at Bruges. Engraved view of the massive belfry in Bruges, as seen from the town square. From Picturesque Europe. 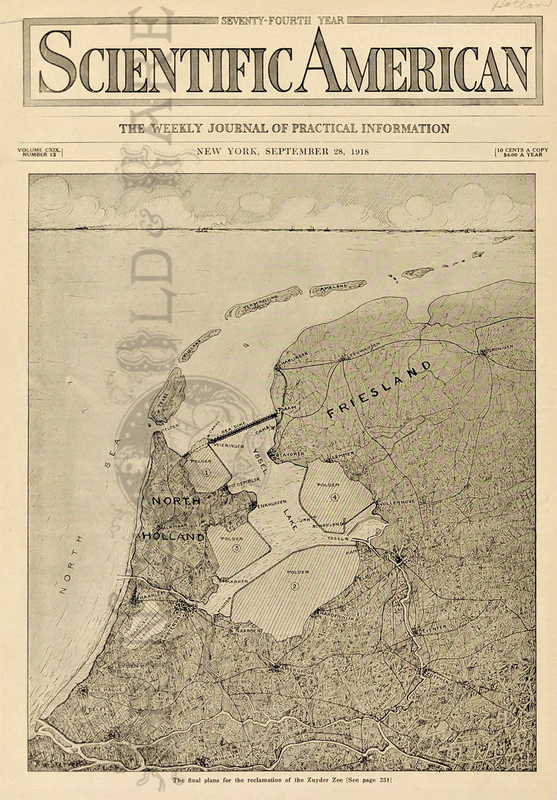 007low: 1918: Map of Zuyder Zee Reclamation Project. Interesting, engraved view from Scientific American, showing areas of the Zuyder Zee that were being reclaimed for agricultural use. 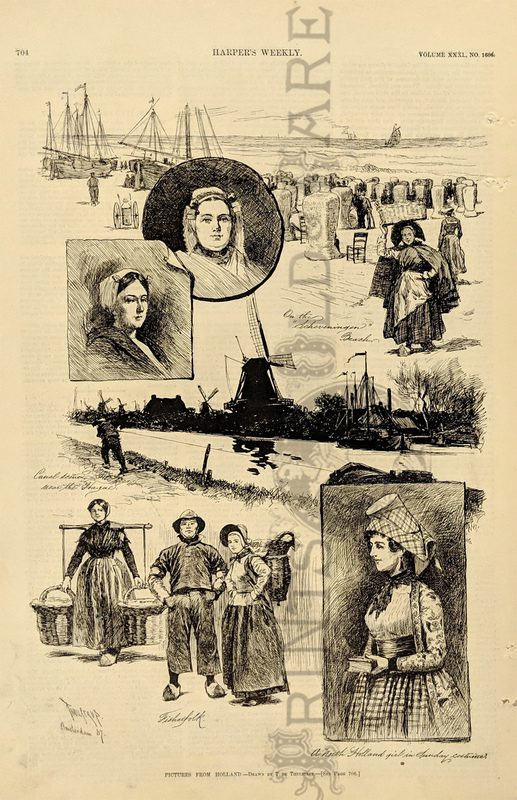 Accompanied by an article describing the project. 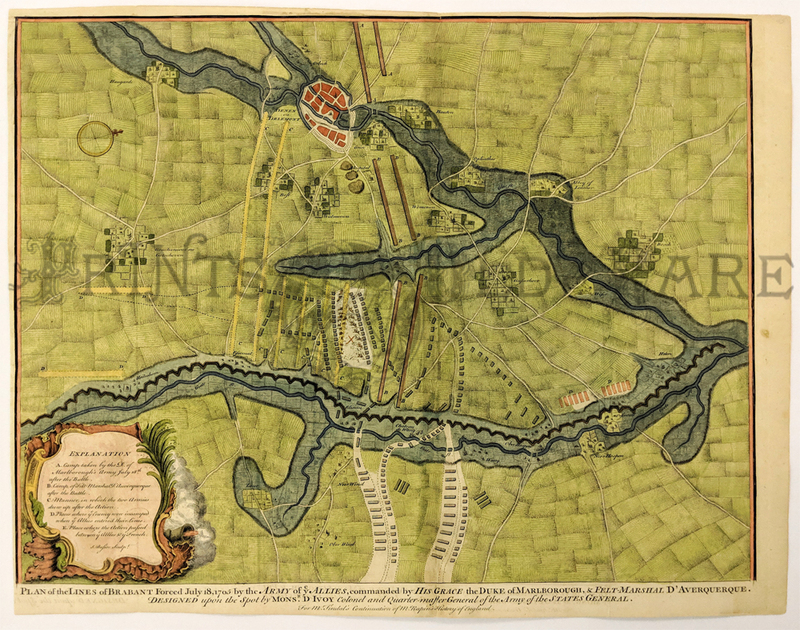 Plan of Hulst with its Forts and Outworks, Holland, War of Spanish Succession, 1729 - Very nice and colored engraving of by Van Holst Dumont Holland with details of the area including forts and outworks. 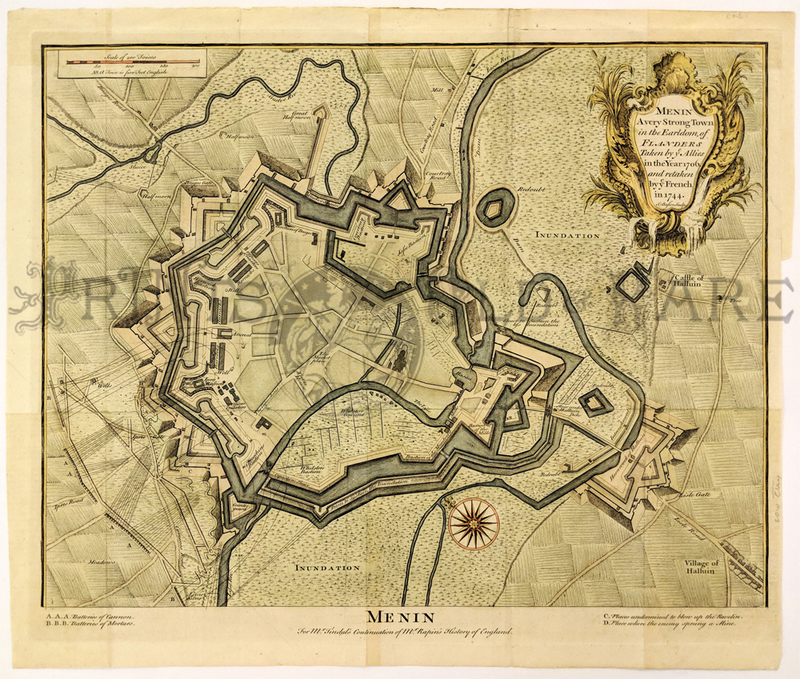 The map features a very large and decorative legend naming specific forts and the direction of cannon fire, cuts made by French and Dutch armies and a sluice. size 18 x 14 image. 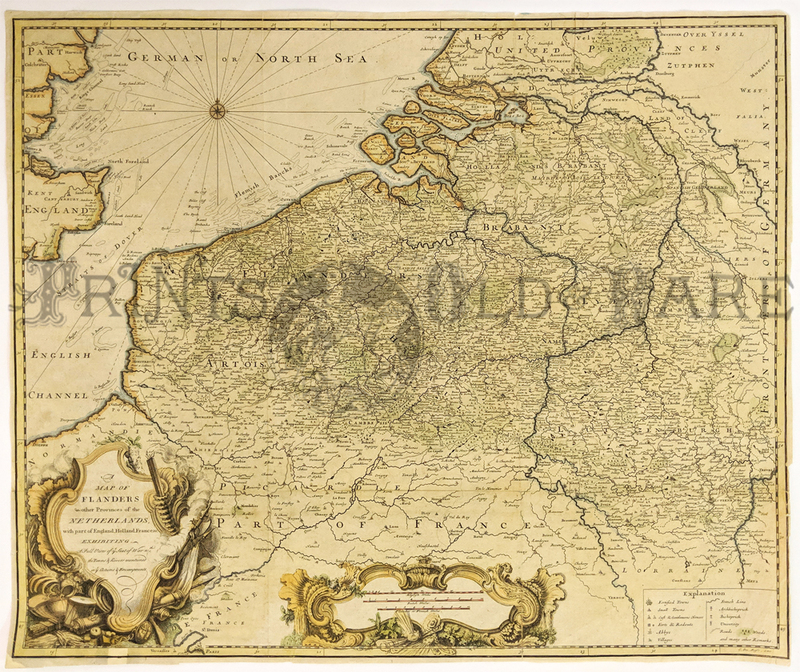 1735 Hand color steel engraved, "Map of Flanders and other Provinces of the Netherlands with part of England, Holland, France &c., exhibiting a full view of ye Seat of War nth. The Towns & Rivers mentioned in ye Actions & Encampments." Claude Dubose. 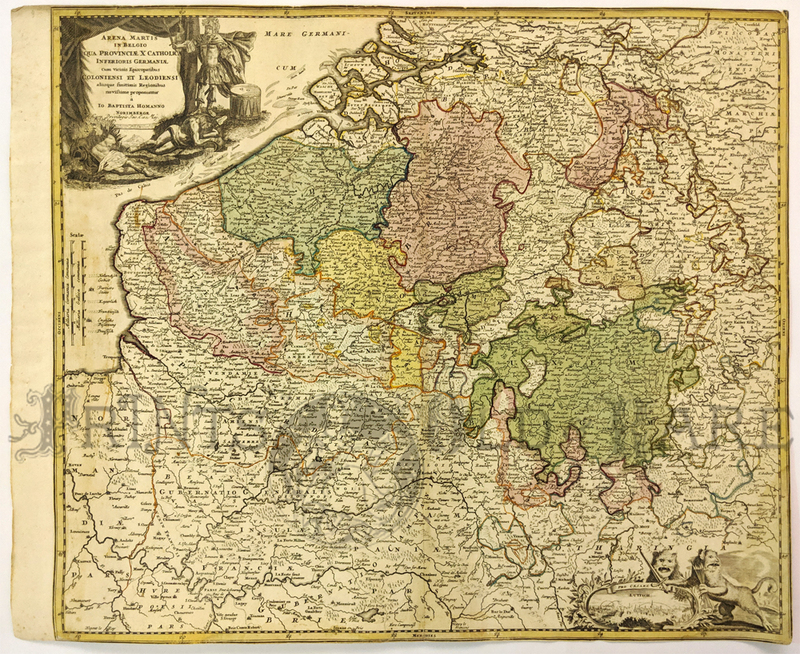 This large and decorative map shows the regions from Normandie through Flanders into part of The Netherlands above Rotterdam and extends east to Germany. The Legend locates fortified towns, gentlemen's homes, forts, abbeys, universities, and much more very interesting places. 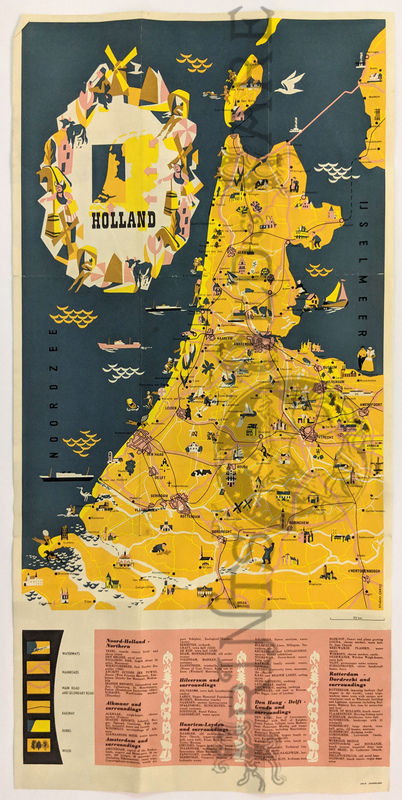 Holland – Pictorial Map c.1965. Picture points of interest, Shows waterways, main roads, railways, dunes & woods by Studio Certo. 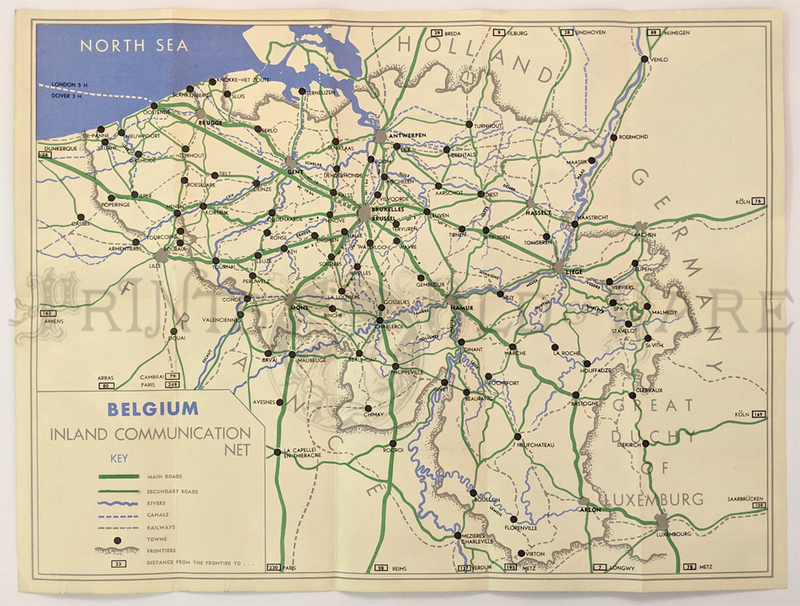 Belgium 1950s – “Inland Communication Net” Shows roads, rivers, canals, railways, towns and frontiers. 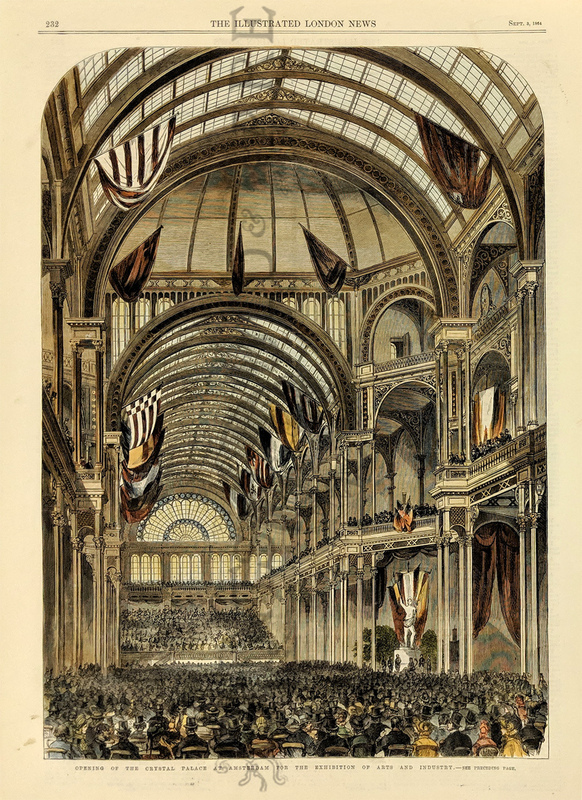 1872 Belgium Scene: Cloth Hall at Ypres. 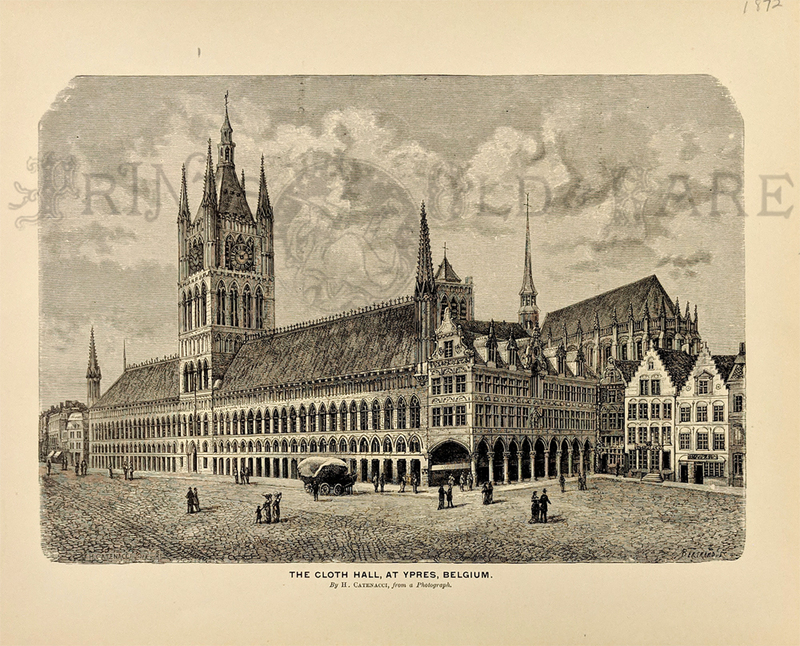 Engraved scene, showing the exterior of the Cloth Hall in the Belgian city of Ypres. From Picturesque Europe. 204low: 1606 Hondius Map: Netherlands Rivers. 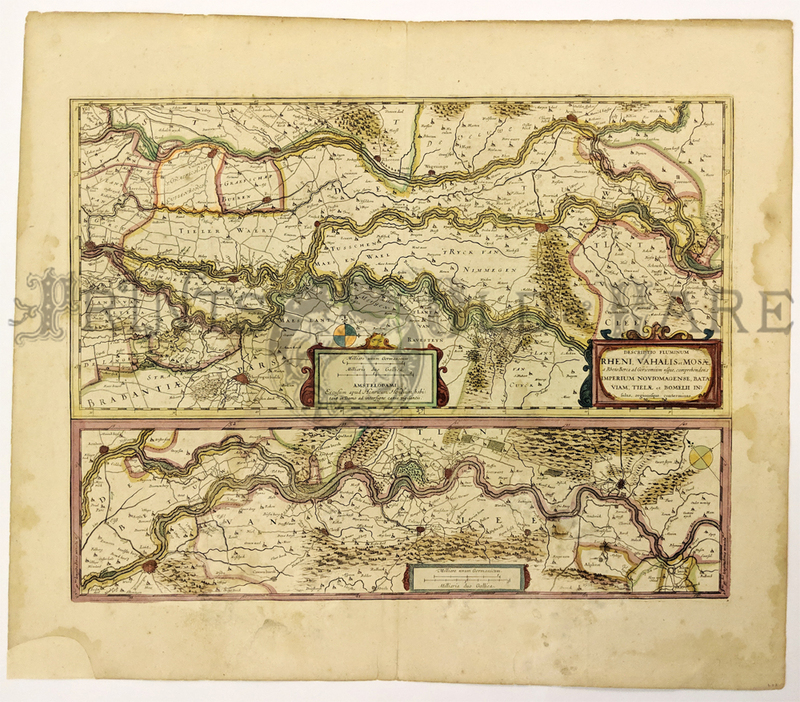 Beautiful, hand-colored double map, published circa 1606 by Heinrich Hondius. 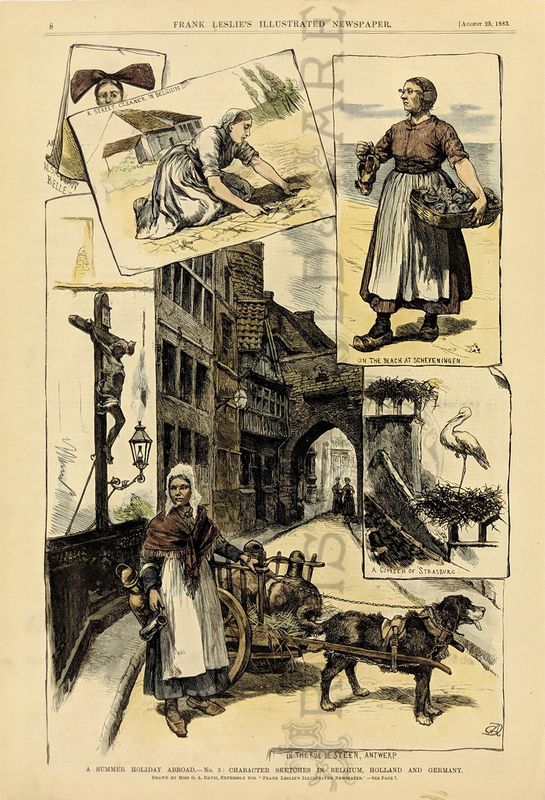 Title is "Descriptio Fluminum Rheni, Vahalis et Mosae?." Top image shows the Rhine, Vahl and Masa Rivers near their entrance to the sea. Bottom shows the Rhine River before it splits into the Rhine and Val Rivers. Forests are drawn as groups of individual trees. Fortified cities are shown with walls around them. Map title and mileage scales are surrounded by decorative designs. Small piece missing from bottom left corner of the margin has been professionally replaced (image not affected). There is some light staining in the margins, but the image is clean and clear. 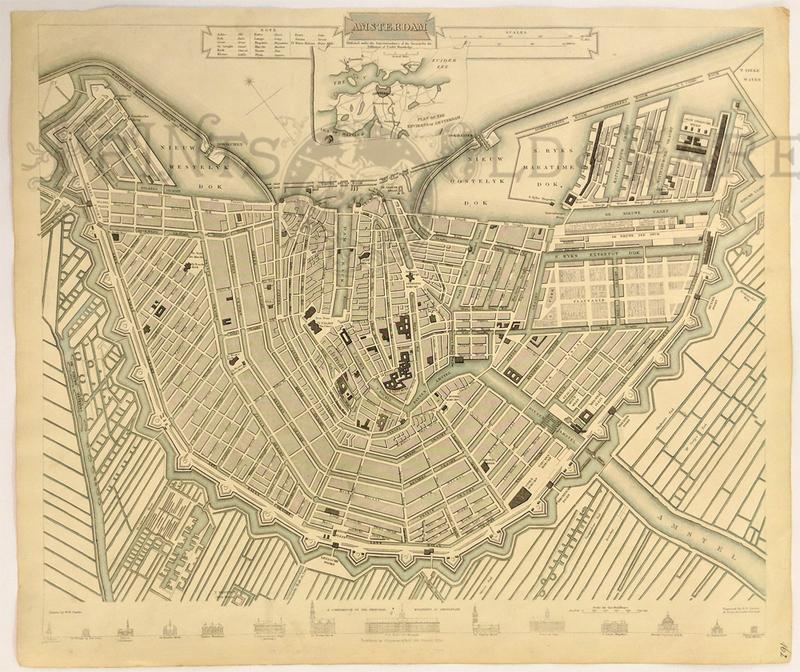 1835 Lightly hand colored steel engraved map of Amsterdam in fine condition. Bottom of map shows a comparison of prominent buildings by height. 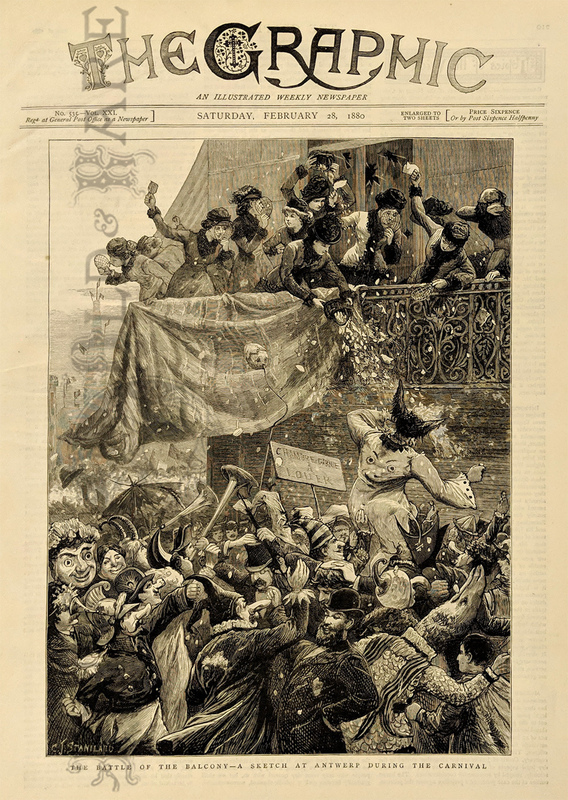 Published under the Superintendence of the Society for the Diffusion of Useful Knowledge (S.D.U.K.) 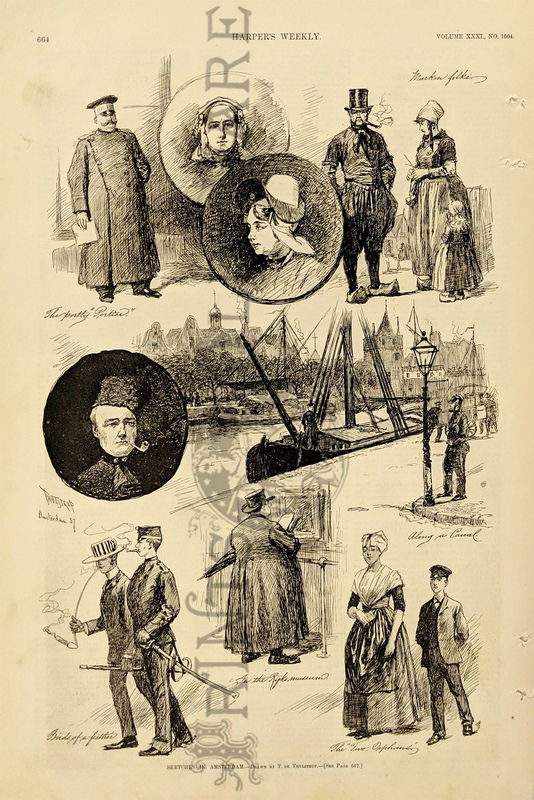 and published in London by Chapman & Hall. 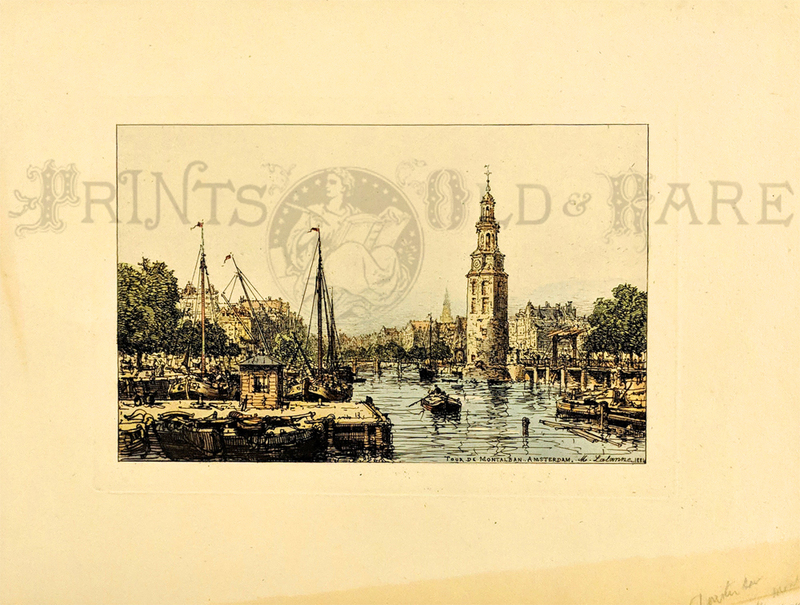 1881 Antique hand-tinted original etching by Maxime Lalanne showing the Tour de Montelban in Amsterdam. Excellent condition with signature in plate.